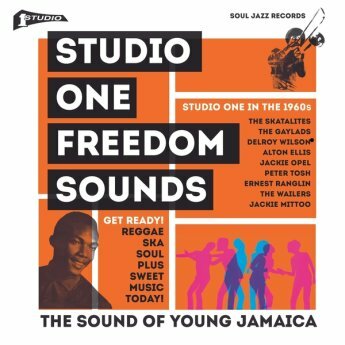 Yet another irie present from the Soul Jazz label: Studio One Freedom Sounds: Studio One In The 1960s comes chock-a-block with reggae and ska from the vaults of Clement ‘Sir Coxsone’ Dodd's mighty Studio One label. Get ready indeed, my brethren, you won't regret it. Exhibit A: a fine fine tune by the somewhat forgotten Jackie Opel, who feels free like the birds in the trees.